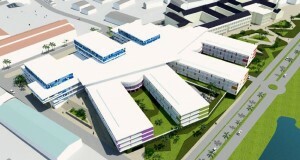 WILLEMSTAD - The health care sector of the island is going to unite. The main reason for this is the construction of the new hospital in Otrabanda. Choosing for quality and central direction are the two most important priorities, according to the feasibility study on the rearrangement of the so-called second-line health care, consisting of specialist care, hospitals and mental health. The aim is one board, medical staff, a policy and a budget for the organization of the new hospital, the Taams Clinic, Advent and the Rehabilitation center. Clinical care and outpatient treatment will be divided by location, depending on the complexity, risk and versatility of the care that is needed for an optimal and cost effective management. There will also be a central pharmacy with a central laboratory at the location of the new hospital in Otrobanda.